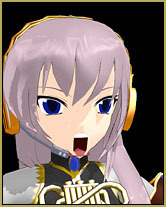 How do I use the Multiply of Facial Expression(f) command in the MMD Edit Menu? How can I adjust the mouth motions to better fit my model? 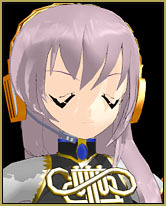 Have you ever downloaded a motion file for an MMD meme only to find that the mouth motions were not strong enough, too faint, or maybe too strong, for your model? Have you ever created your own lip-sync motion and then decided that, maybe, parts of it needed to be stronger … needed to open the mouth farther than what you have saved? … This tool is the answer to your problem! The Multiply of Facial Expression(f) command lets you magnify the amplitude of the motions you have created. It only works on Facial adjustments … and it only works on the red diamonds that you have selected. 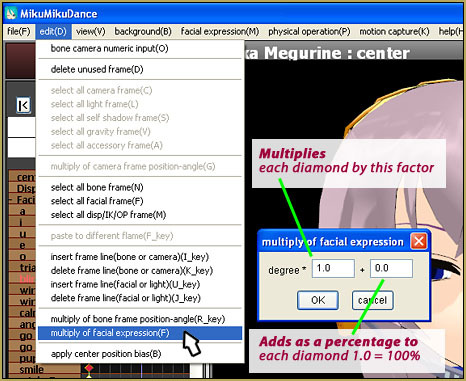 You can use the “Range Select” function to identify all of the facial diamonds in an animation … or you can hold down the shift key as you select particular diamonds in your animation. With your diamonds selected, you choose the command from the EDIT Menu. The command has two windows … The first MULTIPLIES the existing values of the selected diamonds by the number you enter. If you leave the setting at 1.0 and click OK, nothing will happen. Your existing values have just been multiplied by a factor of 1 … no change in the final values. If you enter a value of 2.0 … all of the values in the selected diamonds will be doubled! … I find that you might want to use a factor of 1.1 or 1.2 if you wish to increase the values by a little. You can make motions smaller by entering a value of less than 1 … maybe try 0.8. The second window simply ADDS a value to the selected diamonds. If you enter 1.0, all of the effected diamonds will get a 100% value added to their existing setting value. If you had the “Blink” diamond selected and set to wide open, zero value, and you use Multiply of Facial Expression to add 1.0 in the second window, the “Blink” will now be at 100% … eyes closed. If the “Blink” was already at 100% … the value will now be 200% … a crazy-looking “eyes way-passed-closed” appearance! If you, instead, enter a factor of only 0.2, the “Blink” setting would go to 20%. To REDUCE the value of a diamond, enter a Negative Number … -0.2 will open the Blink by a factor of 20% from it’s current setting. BE SURE TO SAVE your animation BEFORE you use Multiply of Facial Expression. CONTROL-Z does NOT work to Undo this command … no Undo.